The Serene vineyard​ is situated in the eastern hills surrounding Lake Garda, northern Italy and the vines are organically cultivated. 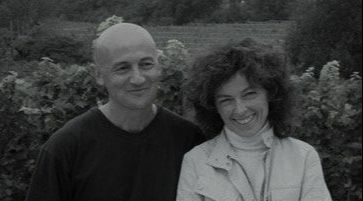 ​​​​​You sense that Stefano, the wine-maker behind Serene wines, is a true creative spirit. He says the story of his life is told through the names of the wines and began 60 years ago when his grandmother bought the first bit of land; later his father planted the vineyards and Stefano discovered his profession and passion in life. Over time, through trial and error and a desire not only to learn his ‘art’ but to push the boundaries and innovate, he has succeeded in realizing his personal vision to make his own wines and give them real character. Stefano has been quietly and masterfully producing his works of 'art' for years and while everything about these wines from labels to bottle shape is distinctive and considered there is no need to shout about them, quality speaks for itself. Nothing left to chance here – Stefano has had a vision that encompasses every last detail and the result is wine that is truly original and magnificent. No traditional scroll fonts or family crests here: these are modern wines in contemporary bottles with 'arthouse' labels.